Most people’s knowledge of honey consists of a few simple facts: bees make it; it is a sticky, sweet and viscous amber liquid; and it is a natural and healthy product. In truth, honey is the result of a complex and precise relationship between bees and their environment and it is a crucial element for the well being of the planet. Slow Food and its Foundation for Biodiversity are working around the world to support communities of quality honey producers and bring them together in a network. Slow Food Presidia for eight products have been established to safeguard and promote native bees in Sateré-Mawé (Brazil); Tigrai white honey and Wenchi volcano honey (Ethiopia); native bees of Puebla Sierra Norte (Mexico); high mountain honeys and black Sicilian bees (Italy); the Swiss black bee (Switzerland) and mead honey (Poland). Slow Food is also working to catalogue honeys at risk of extinction. Currently, more than 20 are listed on the Slow Food Ark of Taste, an online list of products to protect. And there are more than 100 Honey Terra Madre Food Communities. Bees belong to a large insect family (Apoidea), under the Hymenoptera order which includes about 20,000 species. The bees that we know as honey producers belong to a sole genus of this family (Apis), which includes four species divided into races and sub-races that developed through the selection process and adaption to different natural and anthropized ecosystems. As with all other pollinators, these extraordinary social insects play an indispensable role in the reproductive life of natural ecosystems and the survival of humankind. They are considered useful insects without comparison, not just for their role as pollinators, but also for their ability to produce honey, wax and propolis. The characteristics of each honey are determined largely by the plants and flowers that populate the environment, rather by the race of bee. Honey is produced in the hive from flower nectar or sugary secretions released by plants or small insects that live on plants. In the latter case the final product is called honeydew. 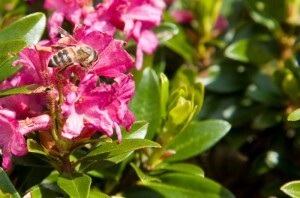 Bees collect these substances and transform them by combining them with substances the produce themselves. They then leave them to dry and mature them in the hive’s honeycomb. 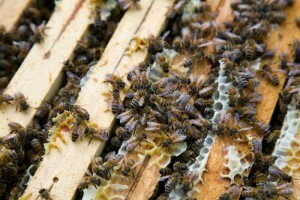 The variety of honeys produced is extraordinary, and includes monofloral and polyfloral honeys. Each honey reflects the biodiversity of flora and natural ecosystems, as well as the knowledge, techniques and traditions of the producers. To be able to adapt to change and limit the emergence and spread of pests and diseases, a range of genetically diverse plants must populate the environment. This diversity exists thanks to the assistance of pollinating insects: while searching for food (flower nectar) they transport pollen from one plant to another, carrying out a continual mixing of plant genes (cross-pollination). In Europe alone, 84% of the 264 cultivated species depend on bee pollination and more than 4,000 different plant species survive thanks to bees. 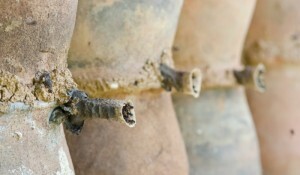 Beekeeping is an ancient practice that precedes the birth of agriculture. Over the centuries humans have learned to interact with bees, benefiting from their pollinating services and harvesting honey and wax. 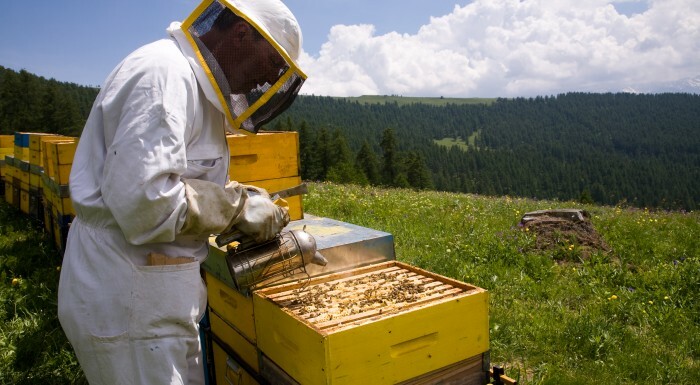 Today, beekeeping remains a very important economic activity in rural zones. From high mountains to the heart of tropical forests or semi-arid zones, beekeeping allows communities in marginal areas to earn an income and safeguard their territory. Both wild and domesticated bee populations are suffering significant loses around the world: in Europe and the United States, as well as in Japan, Taiwan, Brazil and Africa. In Europe, the mortality of bee colonies has been recorded at around 20%, while in the United Sates bee die-offs in the winter of 2013/14 exceeded 40%. Along with bees, significant declines have been recorded in populations of other pollinator insects, such as bumble bees, butterflies and moths. 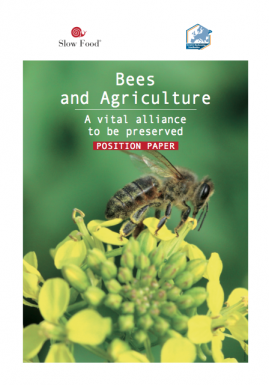 The primary threat to pollinators and maintaining ecosystem balance is the high environmental impacts of our agricultural practices and the widespread use of insecticides. Of particular concern are the highly noxious or lethal insecticides that are used around the world today on almost all crops: neonicotinoids. 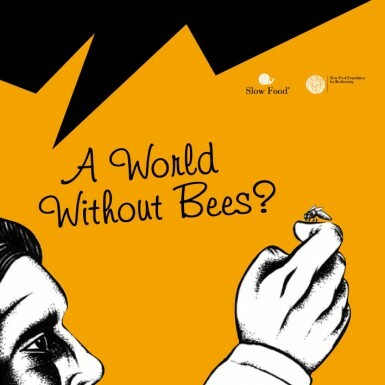 Slow Food – together with UNAAPI – is leading a campaign for the protection of bees and to promote a ban on killer pesticides. Find out how you can join and what you can do!